filled with joy, love, and laughter! MAKE AN APAP APPOINTMENT WITH RACH AND / OR LAIRD! Message Caitlin to set up a time! and Laura Karlin (Invertigo Dance Theatre) will be there as well. Let us know if you'd like to meet with one of them! 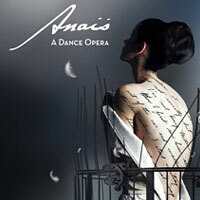 "Anaïs, A Dance Opera" Showcase (6:30 PM Saturday at City Center). Le Rivage, 340 W. 46th Street. Jan. 5 @ 7:45pm. "Al Paso de la Mujer"
Perla Batalla has fill-in dates in the West for March/April 2019. She returns to Europe for summer festivals in mid-late July, but has avails this summer in June, early July and a Canadian block is brewing in mid-August. A Northwest tour has started in November. Blues is a Woman Looking for a fill-in in Southern California/Arizona, May 13,14 and 16-17, 2019, summer festivals are available and beyond. 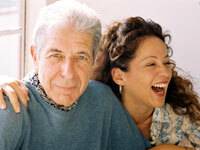 Val Vigoda's Just Getting Good and Peak Aliveness tours are now available for all ages. Residencies are welcome! 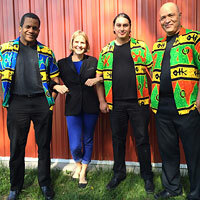 Americas3, a musical/theatrical show in 8 languages, just concluded a highly successful 10-day tour and is seeking dates for 2019-2020. Calle Sur was just awarded a Cloris Excellence in Theatre Arts Award for an original musical soundtrack. Acrobatic Conundrum see AC's new virtual reality video here. They are available to tour both Love and Gravity and The Fig Tree Waltzes in February-June of 2020. Brace Yourself! After decades with Canada's Cirque du Soleil, the Internationally acclaimed Emmy Award Winning Director/Choreographer Debra Brown will offer Brace Yourself!, available starting Spring 2020. It's your one-way ticket to suspended reality, where gravity is a game, and all the passengers are willing players, and high altitude humor at its best. Tomáš Kubínek: Certified Lunatic and Master of the Impossible, has a packed season of performances and community projects with upcoming stops in Italy, Belgium, Hawaii, Canada's Yukon and throughout the lower 48. Blocks are starting for September 2019, and looking to block February and May 2020. Anaïs, A Dance Opera incorporates dance, vocals and projections to tell the life of famed diarist Anaïs Nin and her passionate world of words, creativity and equality. The show has toured internationally to great acclaim. Available in the U.S. and worldwide, and an eastern U.S. block is brewing in Spring 2020. Ate9: continues to grow and blow away audiences across the country thanks to Danielle Agami’s sharp, intelligent choreography. This coming year will include an offering of FIVE works including FISHING with Mad Men lead actor Jon Hamm, calling glenn with the ensemble and Wilco percussionist Glenn Kotche, and the world premier of a blind LAdy for the full ensemble. AXIS Dance Company is changing the face of dance & disability! Connect with them at NPN's ARTSLAM! and APAP's UP NEXT! pitch Session. Booking blocks started in the Northwest & Mountain States (November 2019; February-April 2020) and in the Southwest (March 2020). Citadel + Compagnie is very excited for 2019! 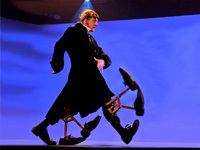 Of the six remaining productions in their Bright Nights series, two are works by resident choreographer, James Kudelka. One, an acclaimed remount called Against Nature and the other, a World Premiere called Four Old Legs. 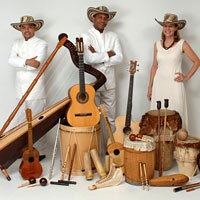 They are also preparing to be on the road again at a series of festivals during May and June. Jo Kreiter's The Wait Room premieres April 19-27, 2019 in San Francisco. Looking for more dates through 2021. "Jo’s hope is that by communicating a political statement through the spectacle and innovation of aerial dance, she will inspire people to create change." 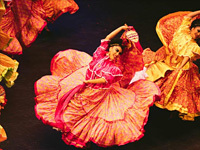 Pacifico Dance Company has enjoyed multiple residencies this season and is looking for more next year. Great for all ages! “Exceptional performance! Passionate, Breathtaking, a true demonstration of the strength of women throughout history!" Upon Ririe-Woodbury Dance Company's return to Salt Lake City from touring, the company looks forward to the world premiere of the live creature & ethereal things, an original, all ages collaboration with original music and storytelling in English and Spanish. The family-friendly work will be available for regional, coastal, and international premieres in the 2019/2020 season. So Now You Know is looking for block dates nationally, and in the west a block is brewing in March 2020. It is a mix of storytelling and choreography by award-winning director and choreographer Janet Roston! A professional touring company and/or your local community members for great community outreach!